Why stay in a hotel when you can stay in a tree house, a stable, a freight container and more unique places in Malaysia? If you’ve always enjoyed playing with LEGO in your younger years (or still do), you’ll definitely appreciate the LEGOLAND Hotel in the state of Johor. It’s a fun-filled location that’s suitable for all ages, especially if you still feel young at heart. The entire exterior decor mimics LEGO parts, including two giant LEGO figurines standing guard at the grand entrance and a magnificent LEGO dragon looking down on you as you enter. 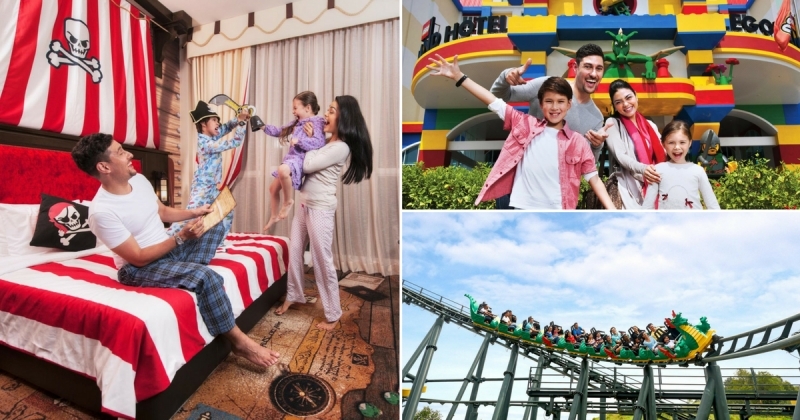 Sleep in carefully planned LEGO-themed rooms and you’ll also get to have your fill of LEGOs at the brilliantly put together theme park and water park. Location: No 1, Jalan Medini Utara 3, Bandar Medini Iskandar Malaysia, 79250, Iskandar Puteri, Johor. Instead of commercial hotels, you can spend the night in a family-run retreat in the town of Sungai Lembing, Kuantan. 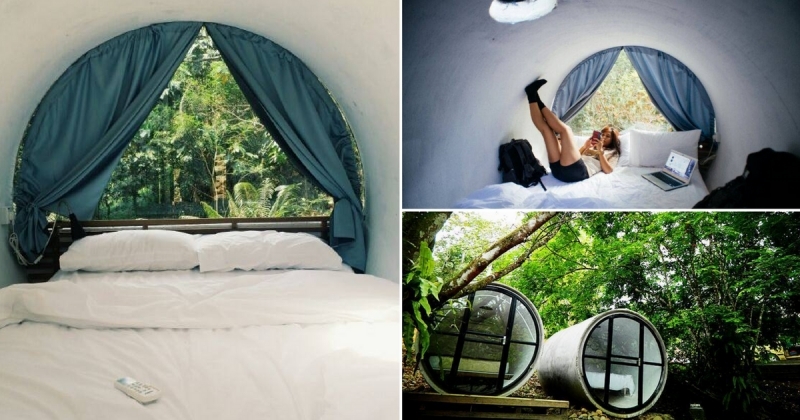 The name itself gives you a glimpse into an interesting accommodation feature you might be interested to try out: sleeping in a cosy 7ft x 10ft cylinder concrete pipe. 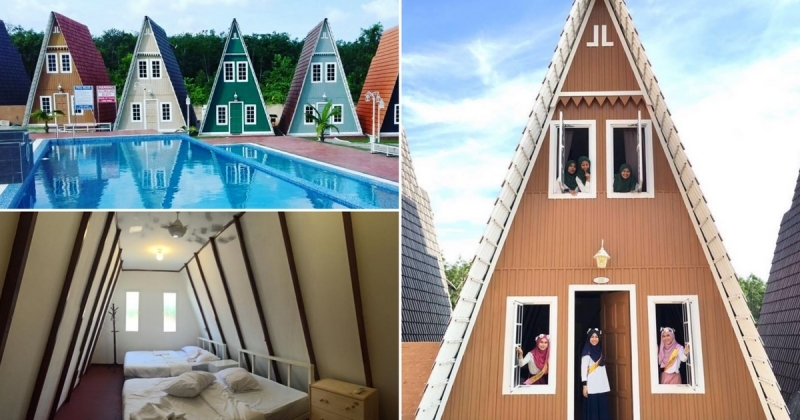 There are also two other types of rooms you can try out while you’re there: a container room called Parallel and village-style houses called the White Cottage that’ll enable you to enjoy the full local experience. 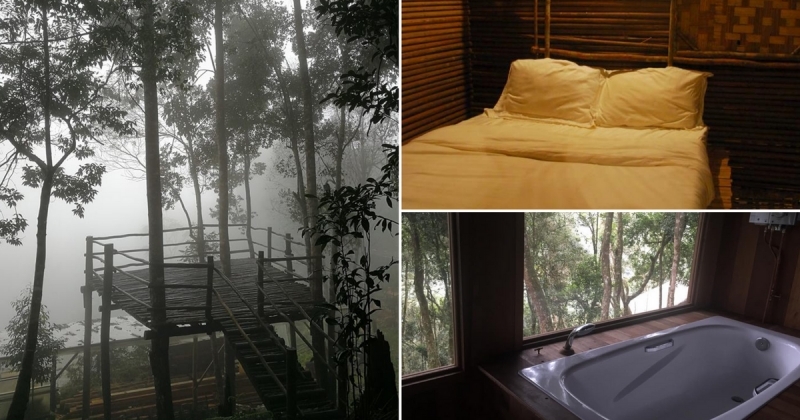 The location faces a forest reserve, so you can appreciate the sounds of insects at night and wake up to a magnificently green view in the morning. You know those bulky, unattractive metal monsters that are used to transport cargo? Well, these ones here are what you’re going to be sleeping in. Using renewable freight containers (a nod to sustainable architecture), this colourful modern hotel is an eco-friendly place to stay. If you’re not around the Kuala Lumpur area for your stay, you can still try out this boutique hotel in Ipoh, Penang and KLIA2. Oh yes, if you want your pets to enjoy a vacation at the same time, they also have Cocomomo, an urban pets hotel. Location: @ Kuala Lumpur: Jalan Delima, Imbi, 55100, Kuala Lumpur. @ Ipoh: 89-91, Jalan Sultan Yussuf, 30000, Ipoh, Perak. 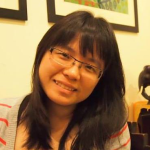 @ Penang: 4, Gat Lebuh Chulia, 10300 Georgetown, Penang. @ KLIA2: Level 1 (CP1), Lot 1 - Lot 5, [email protected], 64000 KLIA Sepang, Selangor. @ Cocomomo: No. 139, Indah UPC Business Centre, 3 1/2 Mile, Jalan Kelang Lama, 58100 Kuala Lumpur. You probably know what it’s like downtown, but can you imagine a cool, tropical retreat right in the centre of the hustle and bustle? This hidden gem is the perfect spot for a romantic getaway or even just to get away from it all. 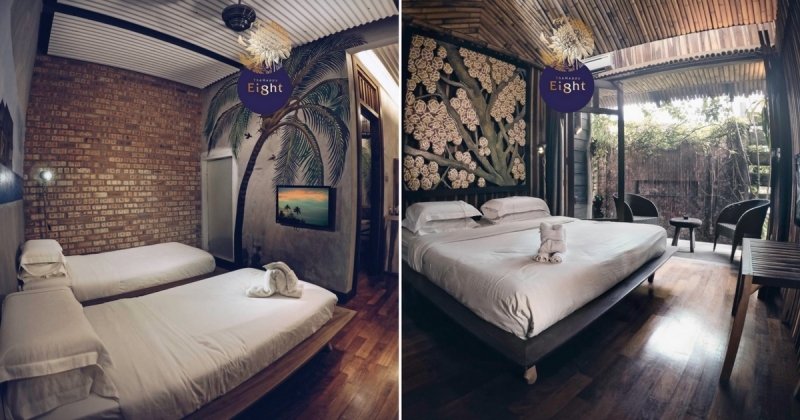 The villas here are designed with every consideration to Asian heritage (think Balinese) as well as contemporary comfort. Everything is built around the idea of minimalism and simplicity, so you’ll notice a lot of natural elements around, such as wood, stone and bamboo. You can always relax in the lagoon pool or lounge in the dining room and sample both local and Western cuisine. Do you remember Disney’s Tarzan cartoon that came out in 1999? Well, you’re not going to be living like he did (atop a tree wearing a piece of cloth), but you will get to experience the feeling of sleeping in a peaceful jungle home made fully from natural materials. The only transportation allowed are 4x4 vehicles; otherwise, you’ll need to trek about 300m uphill to reach this getaway location. There are a total of six houses available and you’ll have the opportunity to sample fresh organic ingredients in your meals. If you want the chance to admire some authentic Orang Asli (aborigine) architecture, you won’t want to miss this opportunity. Not to be confused with The Happy Tree Friends animation, this hotel franchise in Ipoh, Perak is available in four locations. The Pasir Puteh retreat is located right in the middle of a suburb, meaning that you’ll basically be staying in a neighbourhood. 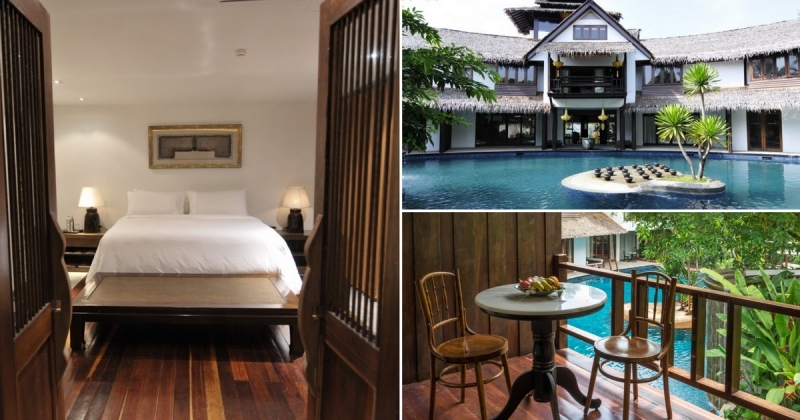 However, you will get to enjoy a peaceful tropical stay in this boutique hotel. 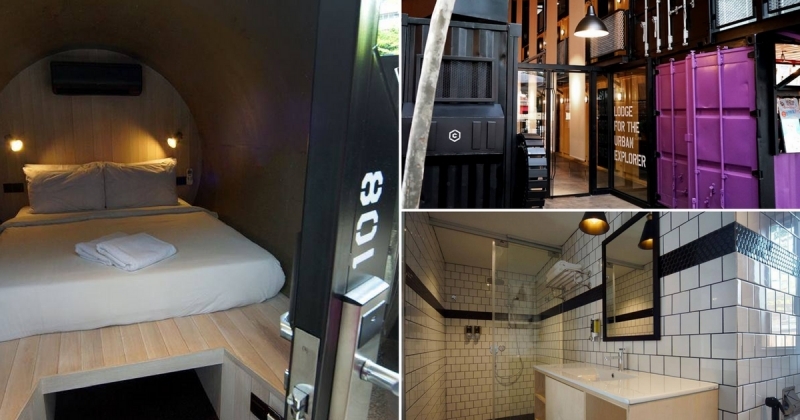 Here, you’ll get to sleep in surroundings crafted entirely by hand. The atmosphere of days gone by blends seamlessly into a mix of modern touches and artistic impressions. If you decide to stay at Kuala Sepetang (The Port of Weld), you’ll get to experience different themed rooms inspired by the location. Location: @ OldTown: No 8, Jalan Shah Bandar, Taman Happy, 31650, Ipoh, Perak. @ Pasir Puteh: No 46, Market Street, 30000 Ipoh, Perak. @ Kuala Sepetang: No LC151A3, Tepi Sungai, Kuala Sepetang, 34650. @ White House/Kampung House: 54, Jalan Haji Mohd Noordin, Kampung Melayu, Sungai Rapat, 31350 Ipoh, Perak. The name means exactly what you’re thinking; you’re going to be staying where horses have slept. Before you start thinking about how large the stable is and how many available rooms there will be, you’ll best be informed that The Stable consists of only a one-room guest house. This former equine accommodation was built during the 16th-century Dutch occupation of Malacca. 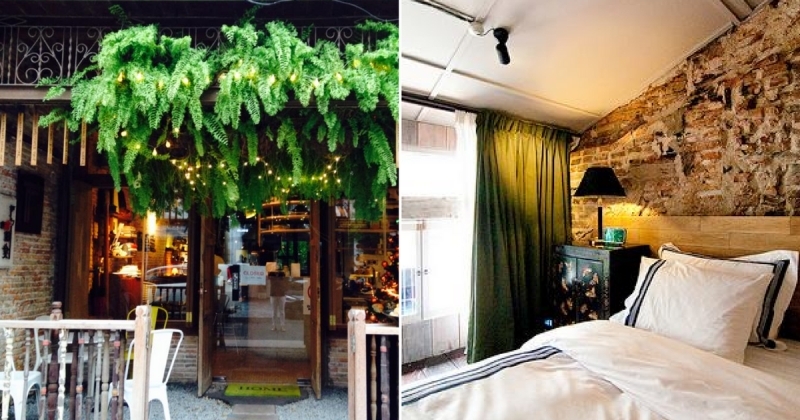 Enjoy a charming getaway between Heeren Street and the always famous Jonker Street. You can easily walk over to many museums, galleries, cafes and restaurants during your stay here. Just take note that only a maximum of two persons are allowed to stay at one time. 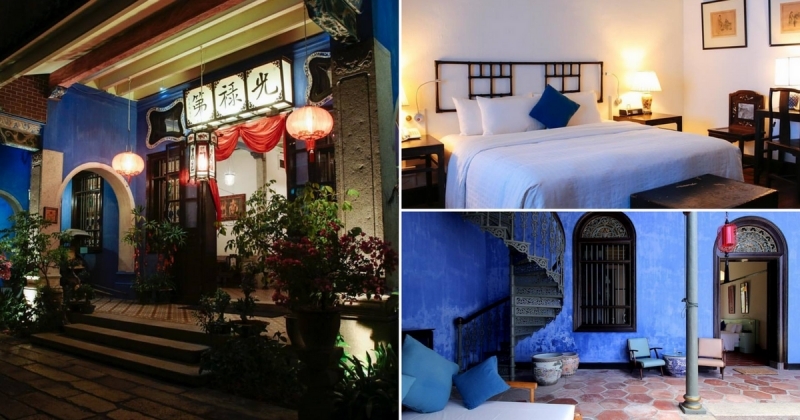 This is another Malacca accommodation you might want to check out. Located about 7km from the city centre, the design of this homestay is inspired by English guesthouses. Unique triangular accommodations greet you on sight, as well as an outdoor pool that’s just perfect for a relaxing swim or loads of water fun. This is a family-run homestay and the name (Masbro) is a combination of the owner’s name and his siblings. Each colourful home can house up to six people comfortably and you’ll be provided with an oven and fridge as well as beds on both floors. Ever been on a dive rig before? 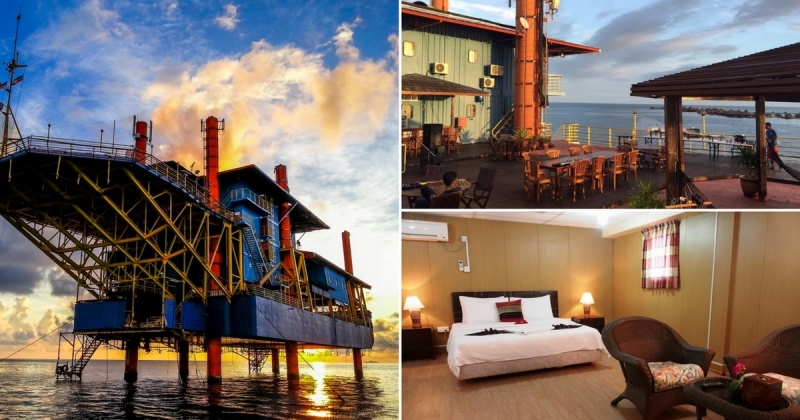 Well, if you’re a fan of deep sea diving, you’ll have to check out the world’s only dive rig resort just off Mabul Island, Sabah. This eclectic accommodation is housed in an authentic rig, but you’ll be more than satisfied with the care given to making your rooms, meals, and diving experience the best ever possible. If you only have a few days to dive, the best option is to be staying exactly at the diving site, and this is something most people won’t get to experience unless they’re staying on a boat for the entire duration. They also offer several diving courses that you can take up during your stay. Location: Requires a boat ride from Semporna town. Standing strong for over a century in the bustling island of Penang, this uniquely coloured accommodation has a rich history to tell. The 38-room mansion was built in the 1880s and is a legacy of Cheong Fatt Tze (a well-known businessman and politician in those days). You’ll get to witness the subtle blending of both Western and Eastern influences during your stay here. They also provide daily guided tours of the mansion as well as a comfortable restaurant, spacious terrace and a courtyard dining area.